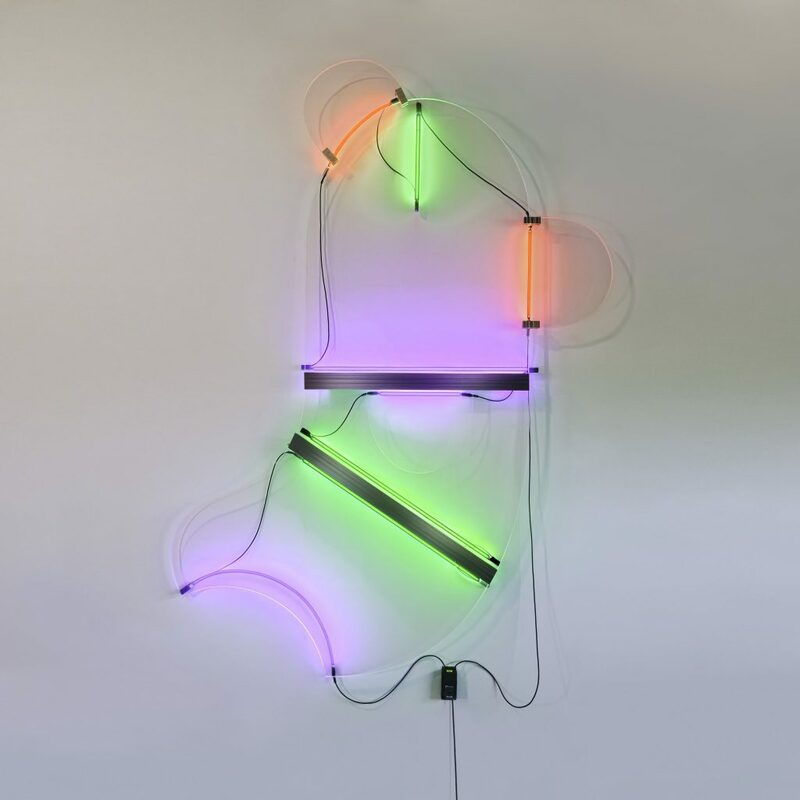 The New Orleans Museum of Art (NOMA) presents Keith Sonnier: Until Today, on view March 15 through June 2, 2019. The first comprehensive museum survey for Keith Sonnier, the exhibition celebrates a pioneering figure in conceptual, post-minimal, video and performance art of the late 1960s. 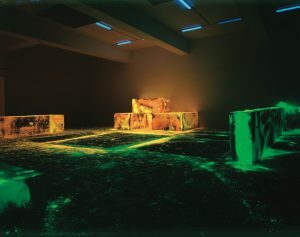 Born in Grand Mamou, Louisiana in 1941, Sonnier is widely recognized for his signature works executed in neon, deviating from much abstract art of the time in its engagement with questions of materiality, human connectivity, and politics. 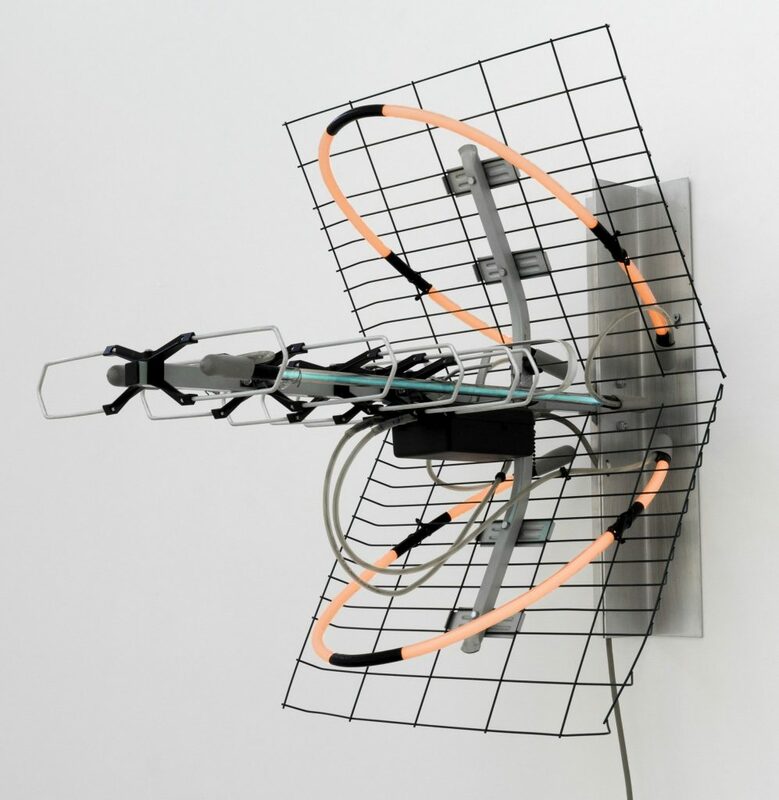 Keith Sonnier: Until Today includes over twenty key artworks and installations created between 1969 and 2018. Featured are some of Sonnier’s illustrious works in neon, as well as rarely exhibited works in sound, satin, radio waves, and bamboo that demonstrate Sonnier’s interest in the way architecture, light and form commingle to shape human experience, communication and interconnection. 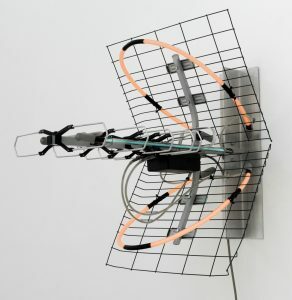 Co-organized by Jeffrey Grove, Guest Curator and Terrie Sultan, Director of the Parrish Art Museum in Water Mill, New York, this exhibition will be accompanied by a catalogue with essays by curator Jeffrey Grove and NOMA’s Katie Pfohl. Also on view is Bondye: Between and Beyond, on view in NOMA’s Great Hall January 25 through June 16, 2019, featuring a series of elaborate sequined prayer flags created by artist Tina Girouard which pay tribute to Haitian Vodou spirits. Related programs will include a solo saxophone performance in NOMA’s Great Hall by Dickie Landry, Community Conversation: Considering Cultural Exchange, a panel discussion with New Orleans creatives discussing expansive forms of cultural exchange, as well as more potentially adverse aspects of cultural appropriation; Art Primer: Five from Louisiana, a discussion with NOMA curators on five Louisiana artists who had gained international prominence: Robert Rauschenberg, Lynda Benglis, Tina Girouard, Richard (Dickie) Landry, and Keith Sonnier; NOMA’s annual Late Night celebration; curator-led noontime talks, and a film series. The New Orleans Museum of Art, founded in 1910 by Isaac Delgado, houses more than 40,000 art objects encompassing 5,000 years of world art. Works from the permanent collection, along with continuously changing special exhibitions, are on view in the museum’s 46 galleries Fridays from 10AM to 9PM; Tuesdays, Wednesdays, and Thursdays from 10AM to 6PM; Saturdays from 10AM to 5PM and Sundays from 11AM to 5PM. NOMA offers docent-guided tours at 1PM every Tuesday – Sunday. The adjoining Sydney and Walda Besthoff Sculpture Garden features work by over 60 artists, including several of the 20th century’s master sculptors. The Sculpture Garden is open seven days a week: 9AM to 6PM. The New Orleans Museum of Art and the Besthoff Sculpture Garden are fully accessible to handicapped visitors and wheelchairs are available from the front desk. For more information about NOMA, call (504) 658-4100 or visit www.noma.org. Museum admission is free on Wednesdays for Louisiana residents, courtesy of The Helis Foundation. Teenagers (ages 13-19) receive free admission every day through the end of the year, courtesy of The Helis Foundation.